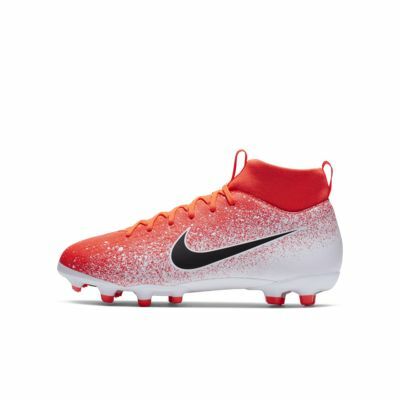 The Nike Jr. Superfly 6 Academy MG features a low-profile Dynamic Fit collar and synthetic leather in the upper that wraps your foot for a glove-like fit. The two-part podular plate system provides responsive speed on natural and artificial pitches alike. Dynamic Fit collar links the foot and lower leg while letting the ankle move freely. Synthetic leather and fabric upper wrap your foot in a close fit. Sculpted arch provides responsive support. Have your say. 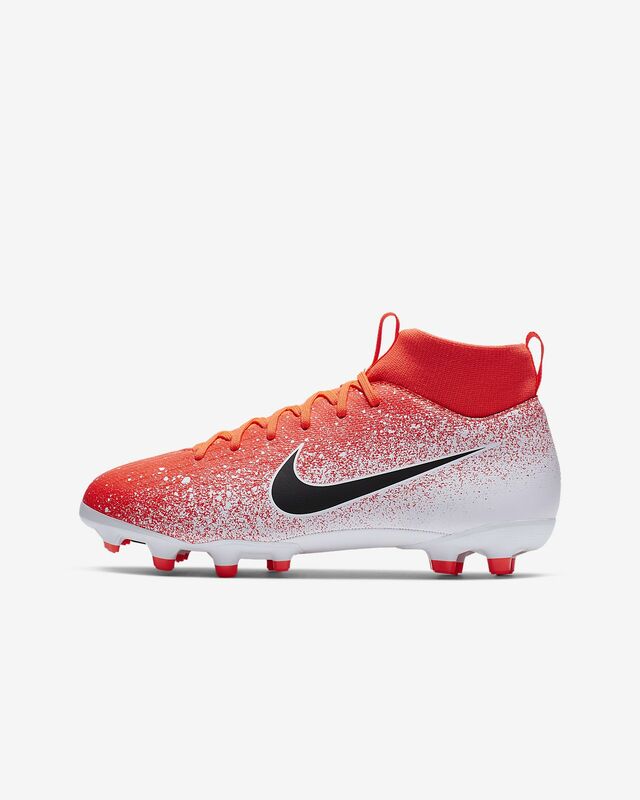 Be the first to review the Nike Jr. Superfly 6 Academy MG.